The city of Lawrence is denying claims that the taxing districts it created to pay for the multimillion-dollar reconstruction of Queens Road were set up improperly. 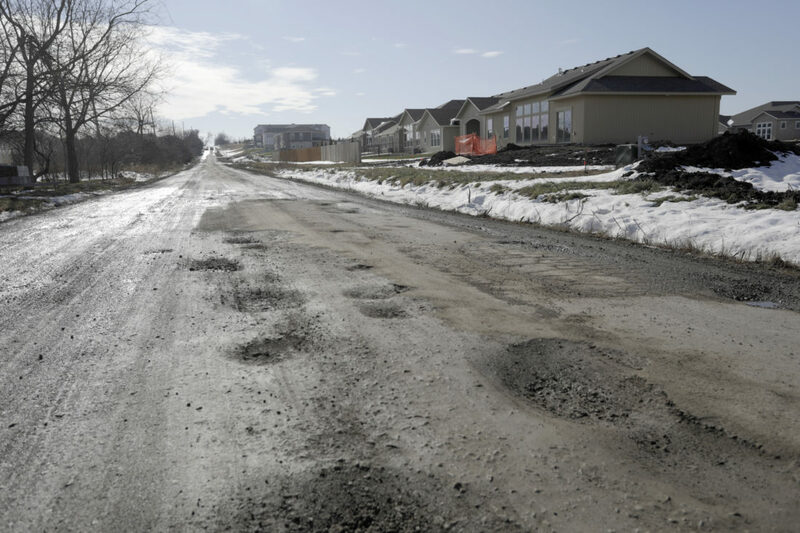 Earlier this month, a homeowner in the special taxing districts filed a lawsuit in Douglas County District Court against the city. The homeowner, Kurt Schaake, is asking that the project be halted so that the case can be heard. The lawsuit claims the taxing districts, under which property owners near Queens Road would pay most of the cost of the improvements, are inequitable and not in line with state law. The lawsuit makes several claims against the city, including that the boundaries and assessment method used for the taxing districts are “arbitrary and capricious” and therefore don’t comply with state law. The city denies those claims and says instead that the districts are reasonable and lawful. The boundary lines of the districts are not uniform and the city is calculating how much each property owner will pay based on the area of each parcel, with each property owner being charged the same amount per square foot. Specifically, the lawsuit states that properties halfway to the next adjacent minor arterial road presumably benefit from a road project, and that the “widely varying boundaries” of the districts created by the city are inconsistent and therefore unlawful. In its response, the city states that boundary lines in taxing districts are not an exact science and that nothing in the law prescribes what the shape of a district should be. The city states that it considers factors such as plats, neighborhoods, street networks, access, proximity and contributions to other improvement districts when creating taxing districts. In relation to the assessment method, the lawsuit also claims that higher-density properties, such as The Links apartment complex, benefit more from the project than lower-density properties. Therefore, it states that assessing the taxes per square foot shifts a portion of the taxes from properties creating the greatest demand to those creating the least demand. In its response, the city denied those claims, noting that The Links is being assessed 25 percent of the project’s costs and stating that assessment on a square-foot basis is a legal method of assessment. Two benefit districts will fund the $5.3 million Queens Road project: one that funds the $4.85 million reconstruction of Queens Road itself, from Sixth Street to Eisenhower Drive; and another that funds $450,000 of improvements to the intersection at Sixth Street and Queens Road, including the addition of a traffic signal. In October, Lawrence city commissioners approved a plan to have nearby property owners pay the majority of the project’s costs. Commissioners generally agreed that since the city has been using benefit districts to pay for infrastructure in new developments for decades, it would not be fair to deviate from that and have the city, or taxpayers at large, fund a larger portion of the project. The city is going to pay about $640,000 toward the project, or about 12 percent of the total costs of the road and intersection. The commercial and multifamily developments will pay for about 67 percent of the costs. The approximately 20 percent remaining will be paid by the single-family homes, which amounts to thousands of dollars for most homeowners. In addition to the claims about the districts, the lawsuit also states that the additional taxes will cause property values in the districts to go down. Therefore, the lawsuit states the city is “taking” property without compensation, constituting an “inverse condemnation.” Schaake is seeking a temporary injunction to stop the city from assessing or collecting the taxes until the case is heard. The city also states that assessing taxes does not constitute “taking” a property under the law and filed a motion to have Schaake’s claim of inverse condemnation and injunction dismissed. The city is asking that Schaake pay costs associated with the lawsuit and that the city be provided any further relief the court deems just and equitable. City Attorney Toni Wheeler said that at this time the city has nothing to add concerning the documents filed with the court. The city’s motion will be considered at 2 p.m. on Feb. 14. A hearing for Schaake’s request for a temporary injunction is scheduled for 10:30 a.m. Feb. 25.